AWS Elemental is an Amazon Web Services company that combines deep video expertise with the power and scale of the cloud. 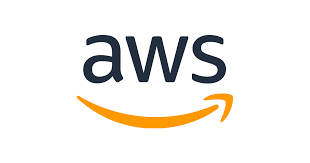 We are looking for Software Development Engineers to work as a team that will deploy AWS Media Services to air-gapped regions and support government customers operating in those regions. If you have an entrepreneurial spirit, love autonomy, know how to deliver results, and are motivated by the opportunity to enable customers via pioneering solutions for challenging problems, this is a position for you! · Estimate engineering effort, plan implementation, and roll-out system changes that meet requirements for functionality, performance, scalability, reliability, and adherence to development goals and principles. · Independently design, code and test major features, as well as work jointly with other team members to deliver innovative solutions to complex business and technical challenges. · Collaborate in a fast-paced environment with multiple teams in a dynamic entrepreneurial organization. · Extraordinary sense of ownership and passion for writing world-class software. · Leading edge software engineering practices including good design documentation, source control, unit testing, peer code-reviews, object-oriented design/coding skills, etc. · You will work with some of the most talented and innovative professionals in the industry and you will be empowered to engineer world-class software services that are used by millions of people around the world. · Bachelor's degree with a Computer Science Major or related technical discipline. This position requires that the candidate selected be a U.S. citizen and must currently possess and maintain an active TS/SCI security clearance with polygraph.